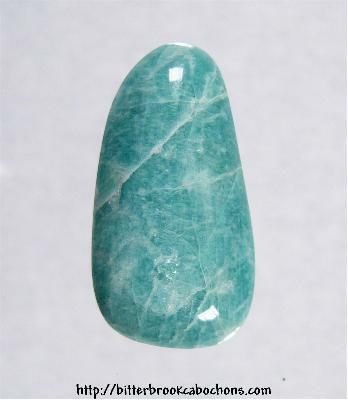 Good-looking Amazonite, probably from Colorado. I picked up a small amount of rough on my last trip to William Holland School. This material polishes up nicely and has an appealing blue color. 28mm x 15mm x 6mm. Weight: 18.85 carats.